The SkyBell Trim Plus Doorbell is a high definition doorbell that gives you the ability to answer the door from home, office, on vacation or around the world as long as you have an Internet connection on your smartphone. It works with the Skybell cloud service as well as the Honeywell TotalConnect service. 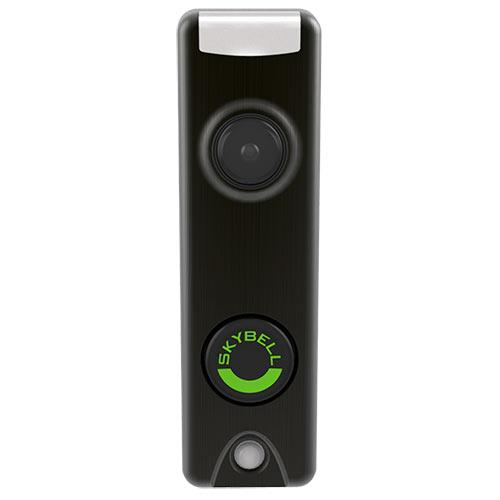 Receive push notifications when the Skybell doorbell is pushed or when the built-in motion sensor is triggered. 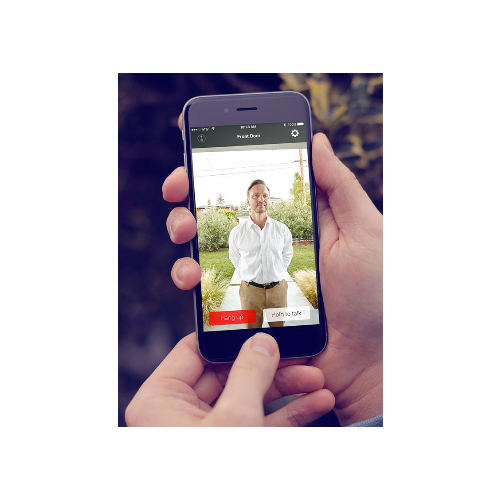 They can also have a two-way conversation and view visitors at the door using the free iOs or Android app. Video and history can be saved for 7 days in the cloud service. It can also be downloaded and stills can be taken during the live feed at any time. The doorbell uses your 2.4 GHz WiFi network connection and has a high definition colour camera with a 180° field of view. It even works at night with colour night vision. 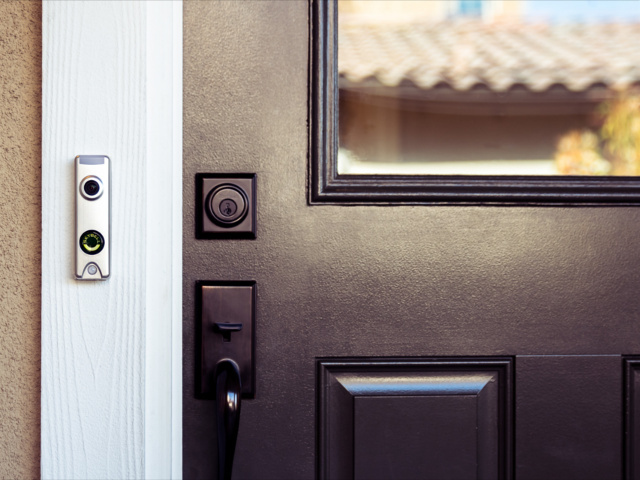 As a hardwired unit, it connects to your existing doorbell wiring for power and works with traditional analog doorbell chimes. A digital adapter is required if you have a digital chime. You may use a 16VAC power supply without a doorbell chime but see installation notes about the required resistor. Note: Skybell requires MINIMUM 1.5Mbps upload speed with always on Internet connectivity at the installation location. Please check your Internet speed and the type of existing doorbell chime before ordering to confirm compatibility. Comes in a bronze finish. Available also in satin nickel. Dimensions: 4.8” x 1.44” x 1.13"